No this isn’t the kitchen … it’s the cow train, but keep reading and it will make sense. I promise. OK, put yourself in my place. What’s your first thought? I immediately dropped what I was doing and made a beeline to the kitchen. As I approached I could see a list carefully taped on the glass window opposite a menu item — opposite a menu item so customers couldn’t see the list. It had multiple types of handwriting so quite a few people were adding to it. Oh boy. I was nervous. Would you read the pro or con list first? I went straight to the con. When you’re working by yourself and wish you had someone to talk to. Spending the money you just made on food you want to buy. When one of the Pauluses orders something and you’re all of a sudden paranoid that everything you’re doing is wrong. Having a good laugh is the best. It really makes a big impact in your day. OK, I can live with these cons. Not one of them was “bad.” I felt much better. Little kids who are excited to ask for their own orders. When there’s a new ice cream flavor. Those days in the fall when you get scheduled to drive kids around in the cow train instead of having a nervous breakdown in the kitchen. I hope this made you chuckle too. 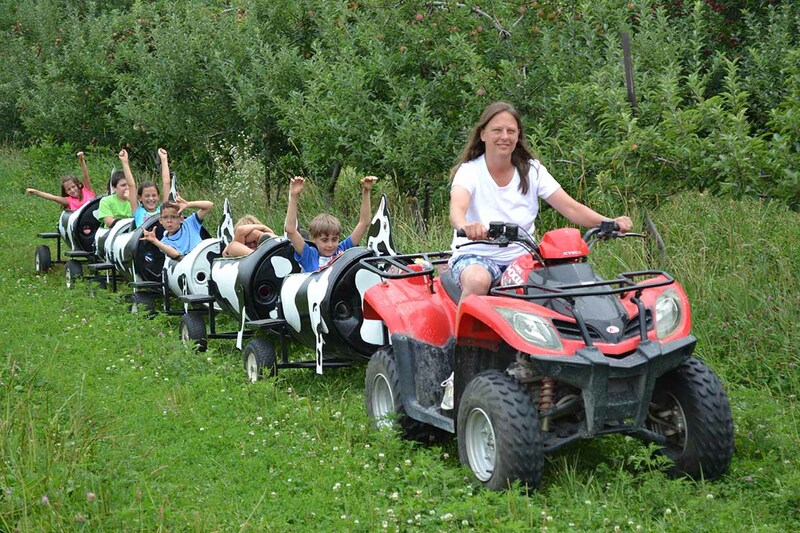 If you’ve been to the farm on a fall weekend it can get a little crazy so you might be able to understand how driving the cow train sounds like a great idea! Ha! I don’t know who started the list, or who has since added to it, but I left the list on the window. I’ve said it before, and I’ll say it again – I really love our staff.